The 100 Day Countdown to our 30th season has officially begun! 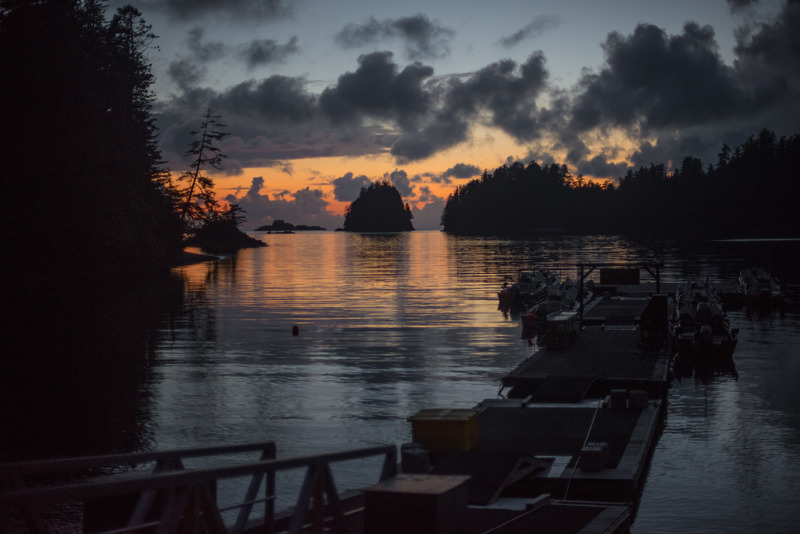 We can’t believe that in just 100 short days, we’ll be fishing the majestic waters of Haida Gwaii. There is still time to join us for this exciting season! For those of you who have already booked, 100 days feels like 1000 as you anticipate your upcoming fishing experience. The first guests of the season will venture to Langara Island for the eighth annual SNC Salmon Derby held at The Clubhouse. In honour of our anniversary, we have added new special events like our inaugural Father’s Day Trip and September to Remember. 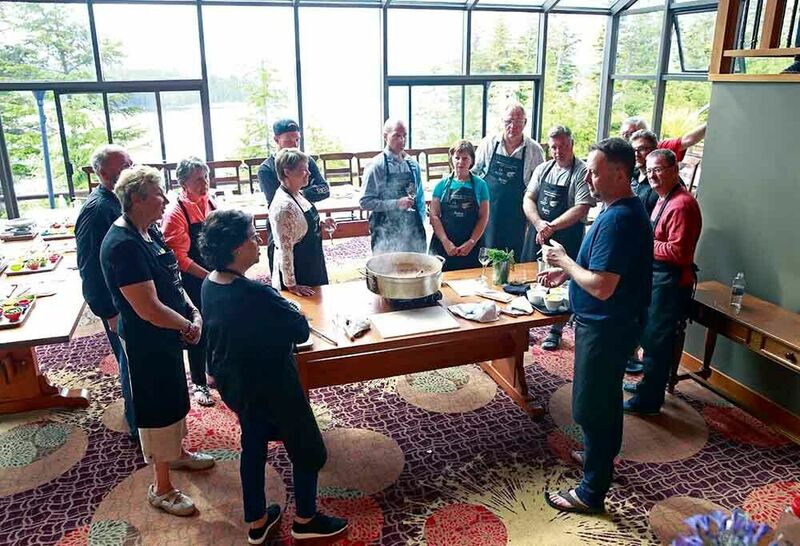 Our Far Beyond Culinary Series will also return with new celebrity chefs at Beef, Barbeque & Bourbon, International Culinary Series – London, David Hawskworth & Friends Culinary Adventure and Coastal Culinary Experience! Before you know it, we’ll be wrapping up another season at our End of Season Party and getting ready to plan 2019. In anticipation of what’s to come, let’s look back at our favourite memories from the 2017 season. And, if you haven’t already, check out our 2017 Season Summary. Longtime Clubhouse guest, Chris Adams and guide Pete managed the season-high with a 52-pound chinook salmon which they released. 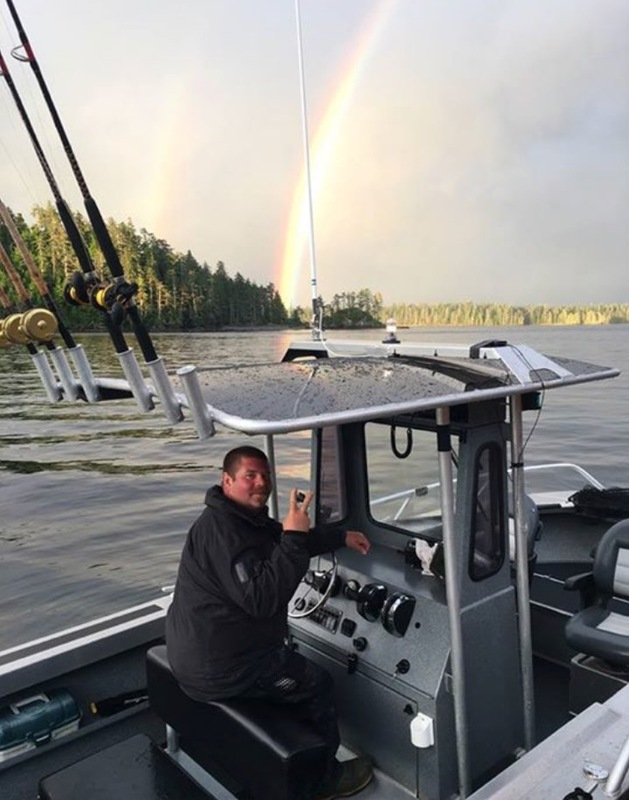 Chris caught this beautiful fish off Coho Point on Langara Island. 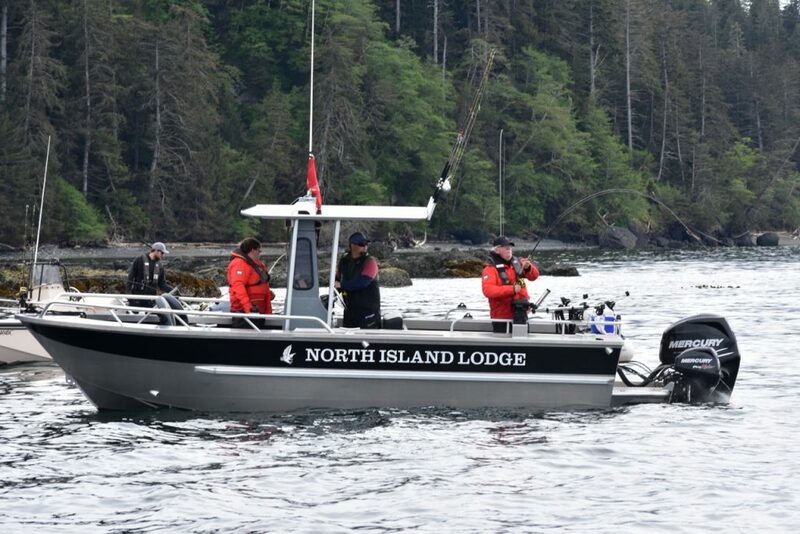 In 2017, North Island Lodge welcomed 24′ Northwest boats to the fleet. North Island Lodge guests reported an extra measure of room and comfort on the water. Custom made to West Coast Fishing Club specifications, the 24-foot boats have a unique welded aluminum hull design that delivers both comfort at higher speeds and stability while fishing. Seating in rear allows guests to ride in comfort on the way to the fishing grounds with additional seating up front to ensure that each angler can be close to their rod once the action begins. Learn more about North Island Lodge here. 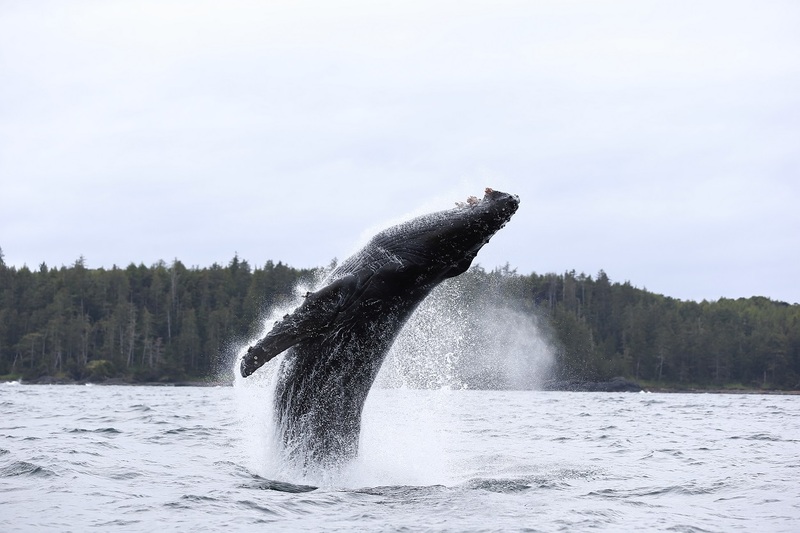 Our talented photographer, Jeff Vinnick captured the wildlife shot of the year while this humpback whale was putting on an animated show for Clubhouse guests. The West Coast Fishing Club is proud to have raised $800,000 for the Canucks Autism Network (CAN) at the 2017 Fishing for Kids Tournament – bringing that total to $8.5 million since the tournament started. For the first time in tournament history, Fishing for Kids had a female winner, as Tanya Mahe from North Vancouver reeled in a 40 lb chinook salmon on the first day of fishing. She donated the entirety of her $200,000 winnings back to CAN. View the 2018 tournament details here. 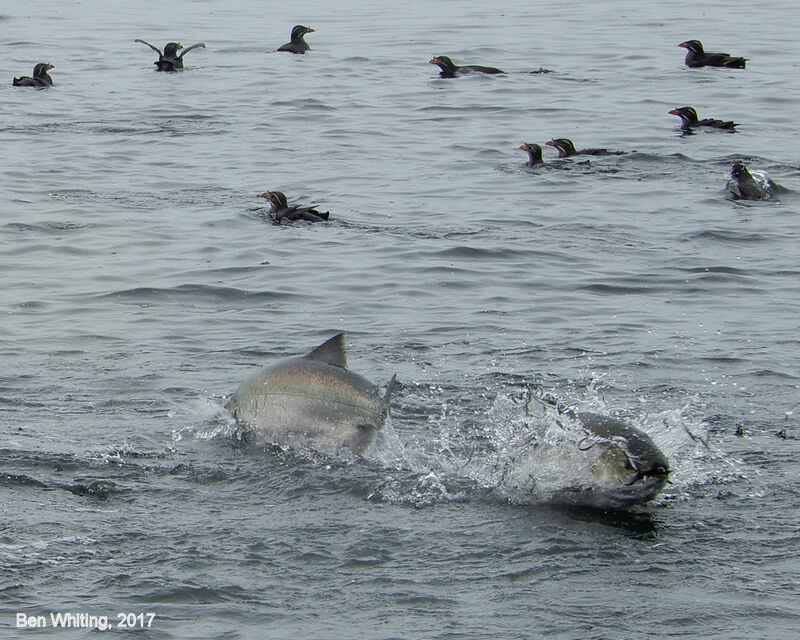 Last season, Clubhouse guest, Ben Whiting captured this amazing photo of two salmon jumping through a bait ball. This photo was good enough to win him a return trip for two to The Clubhouse as part of our #WishingWeWereFishing photo contest. View last season’s monthly photo contest winners here. Not only were the weather conditions perfect, the fishing was also fantastic for Clubhouse guest, Ken McMahon. 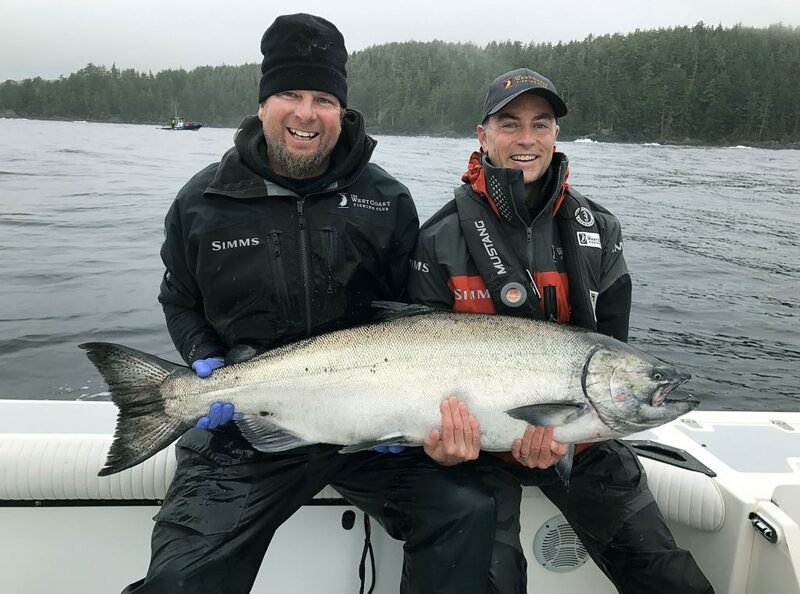 Ken was all smiles after catching and releasing this beautiful 44 lb tyee with the help of guide Kory. 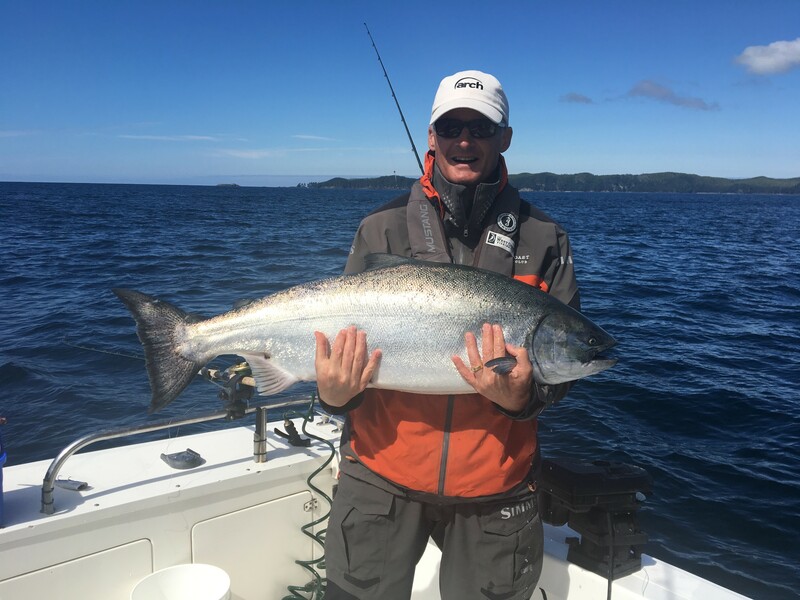 Last season, North Island Lodge head guide, D.J. Shinduke celebrated his 25th season with The West Coast Fishing Club. A big thank you and congratulations to D.J. for putting guests on to many tyees over the years. The 12th anniversary of the David Hawksworth & Friends was nothing short of a unique gastronomic adventure. Guests we’re treated to the culinary artistry of some of Canada’s top chefs. Celebrity chefs in attendance were, host, David Hawksworth, guest chefs, Normand Laprise, Phil Scarfone, Dino Renaerts and sommelier, Mark Davidson. Read the full 2017 event recap here. All season long, guests were treated to none other than the breathtaking sunsets of Graham Island. Luckily Outpost lodge manager, Jordan Knight had a great camera to capture them. In 2017, our inaugural Executive Jet Program was launched. 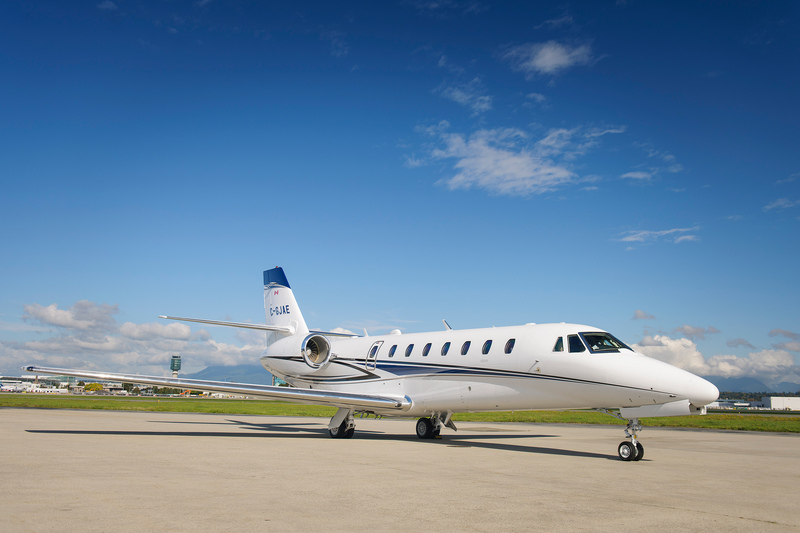 Guests who upgraded to the first-class executive jet experienced many time-saving benefits. Click here to learn more about the executive jet upgrade. We look forward to making new memories in 2018! Don’t miss out on any of our news updates. Sign up for our e-newsletter here to stay connected. Join us for special 30th anniversary celebrations all of which can be viewed here.